How hard is it to move 5 legless pianos 39 times? Beethoven owned five legless pianos and composed great works on the floor. His first apartment was in the center of Vienna's theater district... but he forgot to pay rent, so he had to move. (And it's very hard to move a piano. Even harder to move five). Beethoven's next apartment was in a dangerous part of town... so he moved, and the pianos followed on a series of pulleys. 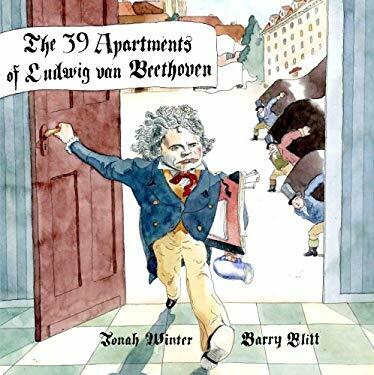 Then came an apartment with a view of the Danube (but he made too much noise and the neighbors complained), followed by an attic apartment (where he made even MORE of a rukus), and so Beethoven moved again and again. Each time, pianos were bought, left behind, transported on pulleys, slides, and by movers, all so that gifted Beethoven could compose great works of music for the world.